Gladys, a Black Copper Maran, knows she is destined to be most high hen, but how does she get there? Determination and confidence for sure, but much went into her campaign strategy. Join Gladys, along with Suzie, a Chester White pig; Freddie, a Border Collie; Ginger, an Embden White goose, and all the other barnyard animals and see what happens. 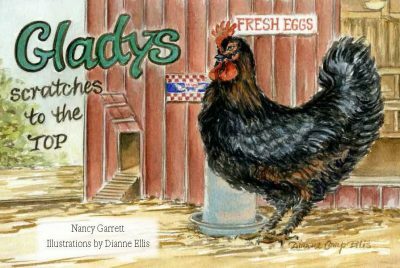 This is a fun book with beautiful illustrations for animal lovers (especially chickens) of all ages.